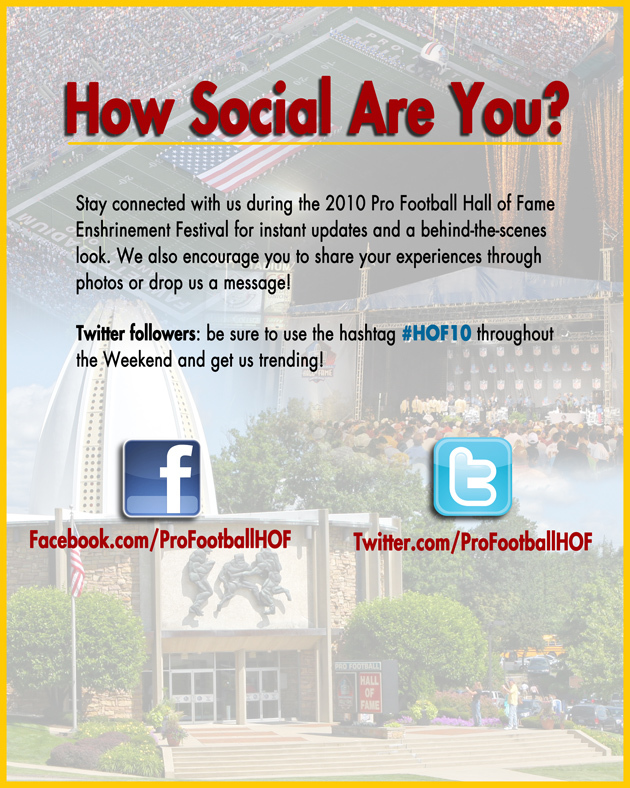 Will you be attending any of the events surrounding the 2010 Pro Football Hall of Fame Enshrinement Festival? If so, be sure to share them with us through your Facebook, or Twitter accounts. Hey, why not both? Not following us on the social media circuit yet? Join more than 11,000 fans on Facebook and Twitter who receive behind-the-scenes updates by clicking on the logos below to "Like" us on Facebook and to follow us on Twitter!